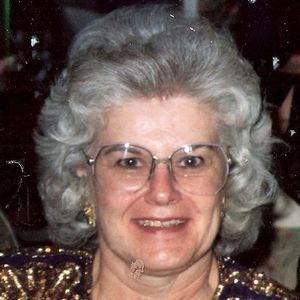 DARLENE J. ZBRZESKI (nee Friedrich), age 82. Devoted wife of the late Henry; beloved mother of Glenn Shore (Kathy), Susann Valley (Paul), and Nancy Petel (Dave); cherished grandmother and great grandmother of seven; dear sister of Roger Friedrich (Judy). In lieu of flowers, donations requested to the American Cancer Society at cancer.org. Funeral service 11:00 a.m., Monday, January 22, 2018 at the funeral home. Interment Waltz Cemetery, Medina. The family will receive friends SUNDAY 1 – 4 PM at the A. RIPEPI & SONS FUNERAL HOME, 18149 BAGLEY ROAD, MIDDLEBURG HEIGHTS (WEST OF I-71). My deepest sympathies to the family. I worked with Hank at WKYC & have fond memories of both Darlene & Hank. Wish I could attend, the services but I will be unable to attend, but will be there in spirit. May her soul run free in Glory. And you all be comforted in knowing that she is with our Lord and Savior. We pray that the Lord will be with you all during this time of mourning.